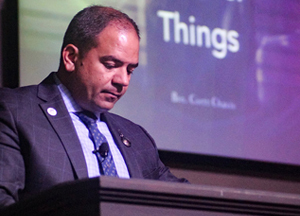 Cortt Chavis was born and raised near the Sandhills of North Carolina in a home of ministry. Cortt learned from his father, the pastor of a thriving church in Spring Lake, North Carolina, for over 30 years. Cortt married his wife, Amanda, in 2000 and together they worked along side his father for several years before God called him to the evangelistic field in 2006. With their three children, Cortney (14), Sydney (10), and Isaac (6), they have traveled extensively for 6 years preaching and singing across most of the U.S. and into Canada. Yielding to the call, they founded Truth Chapel Loganville in 2012. 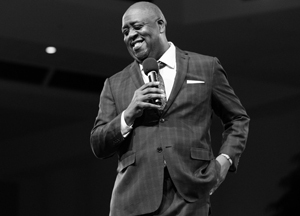 Sam Emory is the Senior Pastor of Apostolic Tabernacle Church in Merced, California. Pastor Emory has traveled from coast to coast preaching the saving Gospel of Jesus Christ. He has seen thousands receive the Holy Ghost and hundreds healed by the power of God. He has preached revivals, youth camps, youth conventions, several major revival conferences, and camp-meetings both in North America and abroad. 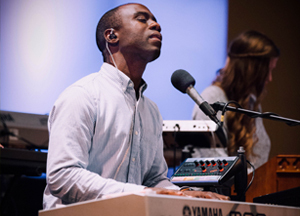 Kevin Daniel is an anointed singer, songwriter, and worship leader based at Christian Life Center in Stockton, California.